Windshield Wiper Fluid Light | Why is my Wiper Light on? 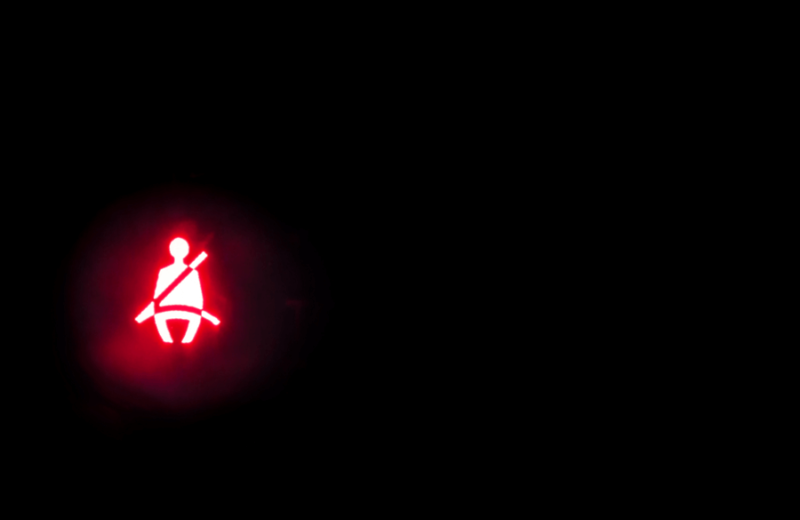 Out of all of the dashboard lights that your car could potentially flash, the windshield washer fluid warning light is one of the least threatening lights that a driver could have to deal with. 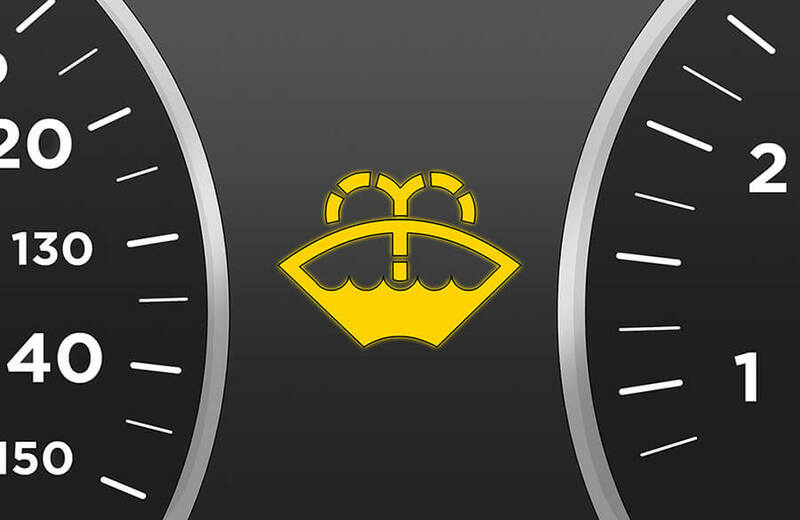 The windshield washer fluid light is typically a yellow symbol representing the windshield and dotted lines which represent the actual car washer fluid. What Is Windshield Washer Fluid? Anyone who has ever been in a car knows what windshield washer fluid is, but the majority of drivers & passengers alike do not truly understand what it is and the technical specifics of how it functions. Like many car fluids, your windshield’s window wiper fluid is chemically manufactured. Take Advantage of Drivesmart’s Included Introductory Maintenance! Ensure Your Vehicle is Always at Peak Performance! Methanol – In order to give windshield washer fluid the ability to resist freezing, methanol, a hydrocarbon derived from natural gas that will not freeze until it is exposed to temperatures less than -143.7°F (-97.6°C), is added. In addition, the methanol allows the fluid to de-ice windshields during cold winters. Windshield wiper fluid is both toxic and flammable. You should always avoid coming into direct contact with your wiper fluid. If your fluid ever caught on fire, the best way to extinguish it would be spraying it with an alcohol-resistant foam and dry chemical extinguisher. If you find your windshield wiper fluid not coming out, this is the first sign that you should check your windshield wiper fluid level. Pop the hood of your car and locate the windshield washer fluid reservoir. The reservoir is typically a white plastic container that is filled with a blue colored liquid (each brand’s shade of blue may vary). If you notice that the windshield fluid reservoir is low or empty, top it up with washer fluid that can be purchased inexpensively at virtually any gas station or car service center. Upon completing this step, close the washer fluid reservoir along with the hood of your car and begin to wash your windows using the handle. You should have already noticed the washer fluid symbol deactivate. Low Washer Fluid Light Won’t Turn Off? Ensure that the cap on the reservoir has been securely tightened and check if your windshield wiper fluid symbol is still illuminated. If so, before you begin research on windshield washer fluid reservoir replacement services, drain the reservoir and clean it with distilled water. This will potentially dissolve any grime within the reservoir that could be triggering the windshield washer fluid light. If you still experience the issue, your vehicle may be suffering from a bad or failing washer fluid level switch. This component communicates to your vehicle’s sensors and computer system the level of washer fluid currently in your reservoir. You will definitely find the windshield washer fluid light always on if the level switch is malfunctioning. The average cost of repair for this component, which varies per vehicle, is typically an average cost of $150 – $220. You should bring your vehicle to a certified mechanic who will be able to diagnose the issue and offer a comprehensive solution. With our Ultimate® Savers Club you’ll be able to keep that repair money in your pocket while you vehicle stays protected.